On Tuesday, March 5, 2019 Foreigner rocks the stage at GFL Memorial Gardens as a part of their Winter 2019 Cold As Ice tour. The legendary rock band will heat up the cold Canadian nights with a series of “hot blooded” tour dates. Since the 1977 release of their first hit “Feels Like The First Time” and their self-titled debut album on Atlantic Records, FOREIGNER has been universally hailed as one of the world’s most popular rock acts with 10 multi-platinum albums, 16 Top 30 hits, and worldwide album sales exceeding 80 million. FOREIGNER continues to rock the charts more than forty years into the game. 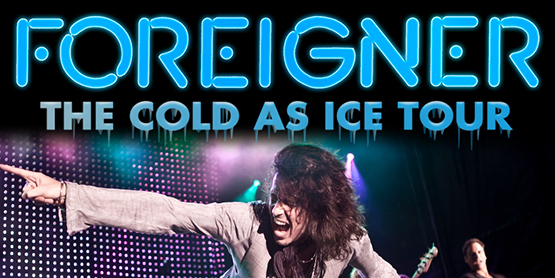 Tickets for Foreigner’s Cold As Ice concert range from $78.00 to $207.50, plus taxes and fees. They will be available Friday, October 19 at 10:00 a.m. EST. To purchase tickets, go to the GFL Memorial Gardens box office, visit www.gflgardens.ca/concerts or call 1-866-775-9422.